Alan studied three dimensional design at Central Saint Martins School of Art specialising in jewellery. He gained a first class honours degree and won the award of 'student of the year' for his degree exhibition. 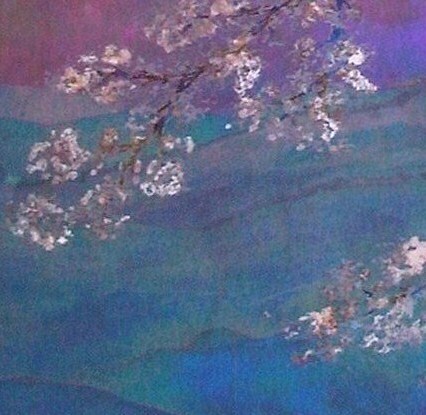 For the past 30 years Alan has worked at his studio at Hatton Country World creating jewellery, small sculptures and pictures using gold, silver, bronze, titanium, slate and enamels. 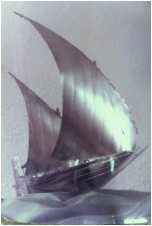 In the 1980s he was fortunate to be given a series of commissions to make silver dhows for a Middle Eastern agent and this enabled him to develop expertise in making complex three dimensional objects. He has also sold his jewellery at Liberty & Co and Electrum. Alan is a freeman of The Goldsmiths' Company and the City of London.